from Little Wild, Nightwood Editions, 2018. Reprinted with permission. 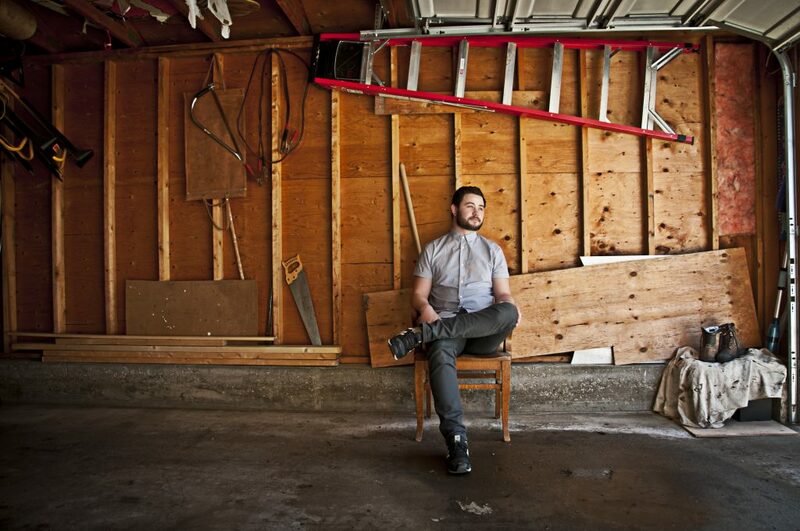 Curtis LeBlanc is a poet and writer based in Vancouver, British Columbia. His debut collection, Little Wild, was published by Nightwood Editions in April 2018. His poems have won the Readers’ Choice Award in Arc‘s Poem of the Year competition, Honorable Mention in the Margaret Reid Poetry Contest, and have been shortlisted for The Walrus Poetry Prize and CV2‘s Young Buck Poetry Prize. 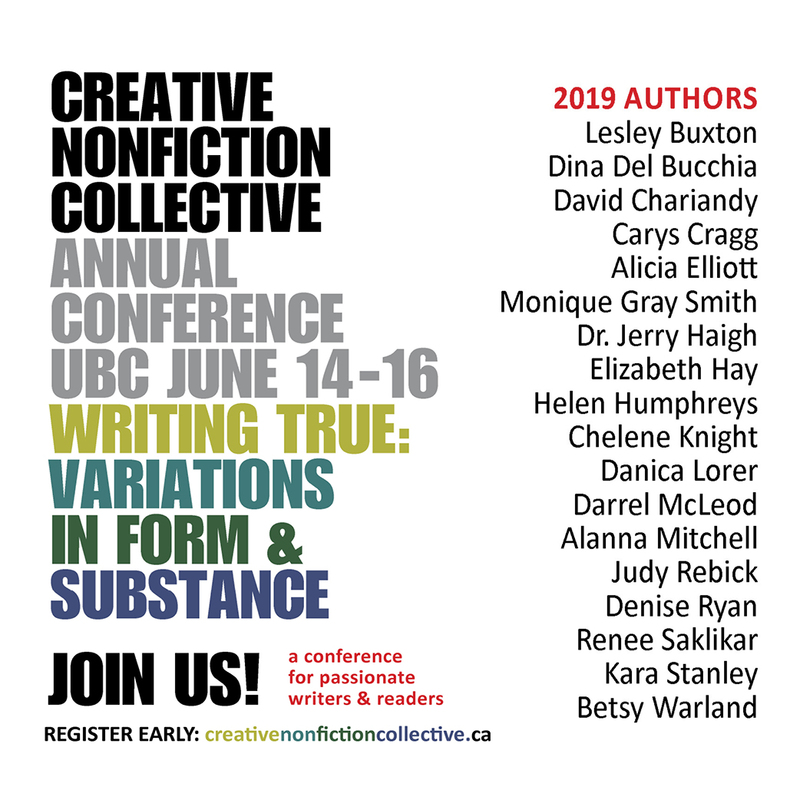 He holds an MFA in Creative Writing from the University of British Columbia. 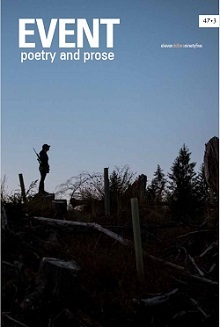 RT: The promotional copy for your book says that Little Wild “focus[es] on how toxic masculinity relates to mental health, aggression, substance abuse and crises of identity.” Indeed, the characters in these poems drink, steal, and burn their way through their teenage years—never more harrowingly than in “An Outdoor Education”, in which the speaker is tied to a birch tree and set on fire by “Those other kids—friends of mine, I’d say still” (a scene hinted at in the cover image). There appears to be a gulf, needless to say, between the people you describe in the book and the man you are now (running a poetry chapbook press and a reading series, and also teaching youth). Could you talk a little about your youth, how it informed the writing of these poems? CL: I think I’ve always been interested in characters who are at odds with the world around them, struggling with how people expect them to be. A lot of the speakers in Little Wild—and they are definitely not all ‘me’ per se—feel this way. Growing up, and still to this day, I always pushed back against the kinds of behaviours and beliefs that are so often celebrated in men—the recklessness, the violence and aggression, the one-upmanship. When I was younger and really struggling with the cognitive dissonance of wanting to be better than the person I was expected to be—to be a different kind of ‘good’ than what the world around me defined in a ‘good man’—I anticipated a great deal of shame in the words and actions some of my peers took pride in. I’ve never been a reckless person. In fact, a big facet of my mental illness (Obsessive Compulsive Disorder) compels me to be extremely careful. But when I was a kid I took risks in exchange for laughs and high fives from friends, and it tore me apart mentally and emotionally and even sometimes physically. In the book, I tried to make sense of some of that dissonance, to illuminate it for readers through the retelling of stories and past experiences. Some of the good I wanted to do with these poems was to give a window for other men to look into and see themselves and maybe realize that that resentment they feel and felt towards the way they were expected to be wasn’t misplaced. That it was and is very real and very valid. Vivek Shraya recently wrote a piece for VICE explaining how the term “Toxic Masculinity” should probably be retired because there isn’t really any kind of masculinity that isn’t toxic. I think she’s probably right, and if I could go back in time I would erase the word “toxic” from the promo copy you quoted above. RT: Though you grew up in Alberta, you’ve spent the last few years here in Vancouver, completing your MFA at UBC. Two of the “blurbers” on the back of Little Wild—Kayla Czaga and Raoul Fernandes—also lived in Vancouver with you while you were writing much of your book. I see so many ways in which your themes align with theirs—suburban teen years (yours in St. Albert, Raoul’s in Tsawwassen), ‘90s pop-culture nostalgia (Kayla’s VCR tapes, your basketball with Shaq’s palm print), etc. Can you speak of the influence those two writers and their writing have had on yours? Can you suggest a few others who have shaped your writing or shown you the way? CL: The first time I met Raoul was at a reading for my first-ever undergraduate poetry workshop organized by our professor, Rachel Rose. All the students in the class read a handful of poems and Rachel invited a few local poets to headline the night. Raoul was one of them. He read a number of poems that ended up in his Nightwood collection, Transmitter and Receiver, and I was just blown away by the tenderness of the work and how it dealt with the everyday. I was still in the process of learning that I could write about the commonplace aspects of my own life and Raoul was one of the poets that showed me how to find significance in those things. He approached me after the reading, and we started a bit of a correspondence. He would pass along opportunities he thought I might be interested in, offered to read some of my poems, and I thanked him endlessly—and still do. His encouragement was a big push for me early on. Fast-forward to my first MFA poetry workshop and that’s where I met Kayla. For Your Safety Please Hold On was published during the course of that workshop and I was so in awe. I absolutely adore that book—the similarities you mention probably weren’t even present in my own writing until after I’d encountered Kayla’s work—and there I was in a class with the person who wrote it. She’s incredibly kind, generous and sharp with her feedback. Overall, she’s just the best person. In terms of other poets who have helped shape my writing, I’m so fortunate—ridiculously so, it feels—to be part of a community that is so nurturing and supportive. We’re always reading each other’s work, listening to each other at readings and events or sometimes just around the campfire, and in that way I’m constantly surrounded by inspiration and also getting useful feedback on my work. RT: I very much enjoyed your occasional use of rhyme in Little Wild. A reader might go for pages without the hint of a rhyme, and then all of a sudden you’ll drop a delightful one (say, “stripped down to briefs…/reconstructed streets” midway through “Public Works,” or “chrome machine/heavy cream” to open “Milk Separator”), and just as quickly you move on with the rest of the unrhymed poem, as if tricking the rhyme-averse reader into thinking nothing had happened at all—but an energy has been shot into the poem, nonetheless. In this way, rhyme feels at once of minor importance to most of your individual poems and vital to the larger energy of the book. What is your thinking on if/how/how best to deploy rhyme in contemporary poetry? Has your thinking changed over time? And did pulling this manuscript together make you think about the use of rhyme in your poems in a new light? CL: Before I ever wrote a poem, I was writing song lyrics in my teens. That’s probably the real reason for the presence of those occasional rhymes. I’ll be writing a poem and all of the sudden find myself driven by the sound and rhythm of work in progress, sometimes even more so than the content. I’ll find the perfect word contextually but scrap it because it doesn’t land the way I want it to sonically. I can’t say there’s any rhyme (haha) or reason to the way I do this. It’s more of an organic, spontaneous thing. When I was first beginning to write, I was told that poems don’t rhyme anymore, so I fought the urge to employ rhyme. Now I see it as something integral to my work that I really do enjoy working with. I absolutely love Natalie Shapero’s collection Hard Child, and it uses rhyme and sound beautifully to charge the poems with a gripping energy. Her poems are musical and conversational all at the same time. RT: Sticking with craft for a minute, another of my favourite elements of Little Wild is how physical it is. The poems are usually anchored in physical objects, often right off the bat in the title, and even abstract ideas are made tangible (I’m thinking of that wonderful line in “Milk Separator” in which a large sum of money is explained as “ten tanks of gas or one month’s rent”). Most of the students I work with struggle with this mightily—much of what they say is watery and floats off as soon as it’s said. Has this physicality always come naturally to you, or was it something you had to learn (and if so, how)? 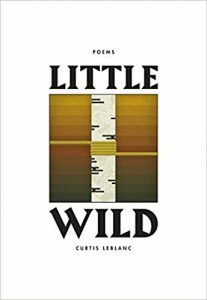 Given the subject matter you chose to explore in Little Wild, did you have extra desire for the poems to be felt in a visceral way? CL: It’s funny, my grandpa was reading the book while I was back home this summer and he came up to me and said, “Curtis, how do write an entire page of words about one damn thing? Like porridge. You wrote a whole page about porridge.” Most of this comes from meditating on an object for a long time before writing. In the case of that milk separator, he’d shown it to me during one of our visits and I thought I’m going to write a poem about that. I had no idea what it would be about, but I find that if I’m stubborn and think about an object/subject for long enough, a poem will come spilling out eventually, usually all at once. I write a lot of poems this way. Editing always follows, of course. I came of age reading the short fiction of Amy Hempel and she’s a writer who I think is exceptional at meditating on the physical world around her characters. I think of Hempel’s story “In a Tub” which opens her collected stories; three separate spaces, physical and chronological, are connected intimately through the image of a tub. In “San Francisco,” it’s a watch that is central to the story in this way, and it draws together a lifetime of familial complexities for the two sisters wanting to inherit it and their mother who left it behind. RT: Though all its poems are not autobiographical, Little Wild feels like a deeply personal book, centred around family and friends, and sitting at its centre is a long poem, “Bucky”—an erasure drawn from a conversation you recorded with your grandfather, Bill McPherson. It’s interesting, then, that the conversation focused on the career of NHLer Kelly Buchberger, and not, say, your grandfather’s own life, or that of your parents or yourself. Could you speak a bit about how that poem came to be, and how you think it speaks with the rest of the poems in the collection? CL: I was worried that “Bucky” might be too much of a departure in the middle of the book, but the feedback I’ve received so far about that section has been really positive. It’s still a family poem in the sense that he’s my mother’s cousin and Bill’s nephew. Being from Edmonton and having cheered for the Oilers for as long as I can remember, it was hugely significant for me to have that sort of family relation to the captain of the team (at the time). For me, as a kid, Kelly took on mythic proportions. He’s also a topic that my grandpa, who has always battled a thick stutter and will sit for long periods of time in rooms full of people without saying more than a few words, will actually talk at length about. So one day, with his permission, we sat down and I recorded him telling Kelly’s story much like he always tells it. I added line breaks and removed words or sentences here and there for efficiency, but I really wanted to preserve his voice. RT: Speaking of family, I interviewed your fiancée, Mallory Tater, back in March, and she mentioned that one of her upcoming writing projects was her vows for your fall wedding (congrats!). In the months since then, you’ve toured much of the country with your debut collections (hers, This Will Be Good, also came out this spring, with Book*hug), making yours the most revoltingly heartwarming love story in the Canadian poetry world. Both of your books explore your childhoods and the gendered expectations that you had to navigate, especially in your teenage years. Do you think of them as united in some way? In conversation with one another? Any plans to co-write book #2? CL: The books coming out at the same time was a bit of a fluke, but getting to tour our first collections together and share that experience was something we’ll never forget. I think there are some overarching similarities like you pointed out, but on a poem level I think the two books are very different: stylistically, tonally, thematically—you name it. Overall, I’ve been given a tremendous amount of space to speak, both in the form of the physical book, at readings on tour and elsewhere and in interviews like this one, and I’m so grateful for this opportunity, and to have been able to share much of it with my best friend and closest kindred spirit. Mallory has her novel, The Birth Yard, coming out in 2020 with Harper Collins and I’m currently working my way through a second poetry collection, so I’m not sure we’ll overlap like we did this year any time in the near future. It’s been a blast.